It's no secret that I have a thing for vintage beds. There's just something about them that gets my heart all aflutter. Vintage beds are undoubtedly my number one Craigslist/vintage/salvage/antique store find and despite already having a hefty collection (see below), I keep adding more. Garrett would probably say that I just can't help myself. But luckily for him, we keep buying old houses, so there's always a new space for a good vintage bed! My most recent find is a twin-size spool bed, a style that I've long admired. After eyeing the bed at a local antique store last month (Relic, if you guys are in eastern Washington), I finally told Garrett that we needed it for staging at the flip house. He begrudgingly picked it up last weekend, but there were certainly no complaints at the price, $89. In case you were wondering, I'm head over heals in love with this one! The spool bed, or Jenny Lind bed as they're often called, is one of my favorite vintage styles. The spool detail is so delicate, crafted, and beautiful and these beds can really add a special element to a space. Even though my spool bed is far from perfect - the foot board was replaced and there's some damage on the side rails - I'm really happy to be adding it to my collection. It'll be the perfect bed for the little girl bedroom at the flip house (and maybe our own little girl's room at the Farmhouse, someday). After buying this bed, I did a little research on the ever-popular spool bed style and thought it would be fun to share what I found with you all. Let's start with the name. These beds are referred to as two things: spools for their resemblance to sewing spools and Jenny Lind after the 1800s Swedish opera singer of the same name. Ms. Lind came to America in 1851 on a much publicized tour and captured the public eye. She was an "it girl" long before the likes of Beyonce or Adele. Ms. Lind was said to prefer the colonial-style spool beds during her hotel stays, and the notion stuck. The spool bed has been referred to as the Jenny Lind bed ever since, as long as it has square solid corners on the headboard (according to Design Sponge). Originally the spindles were turned using a lathe operated by a foot pedal, which was a slow and laborious process. Can you imagine how much effort went into each bed? Talk about an heirloom piece! Steam power replaced the foot pedal in the first half of the 1800s, making spool beds much easier to "mass" produce. If you want to know more on spool beds, check out these two articles (here and here). The first one has some useful tips if you're trying to date the construction of a spool bed. 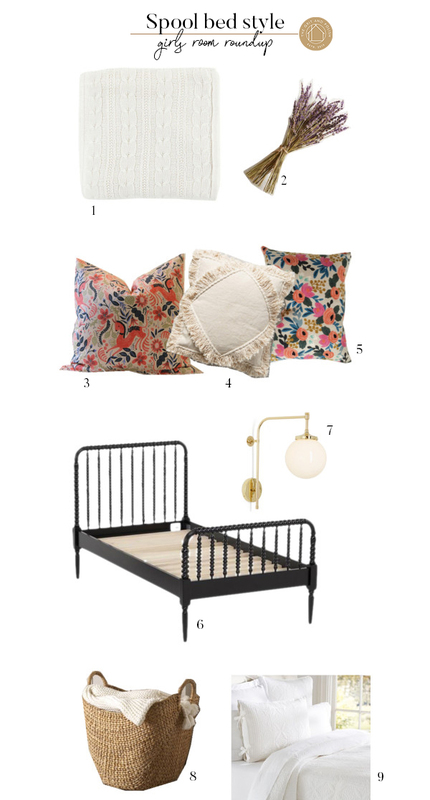 Since my Jenny Lind is intended for a girl's bedroom, I plan to style it with updated florals and traditional feminine details for a modern take on an antique bed. Maybe it is just the baby girl in my belly, but I can't get enough of this look! Lots of cozy white textiles, vintage-inspired goods, and floral prints in this bedroom. Of course, a spool bed would fit equally well in a boy's room, guest room, or even a master bedroom. Here are a few of my favorite rooms featuring spool beds from around the internet. Showstoppers, right? 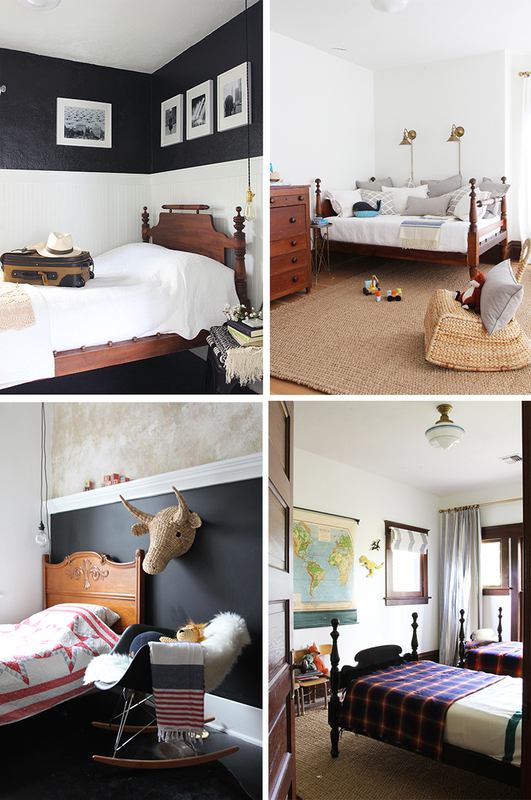 Spool beds not only headline those rooms, but they also fit into very different decor styles. I really can't get enough! I'd love to hear if you guys collect antique beds (or maybe just have one or two like a normal person), and if so, what style?! p.s. 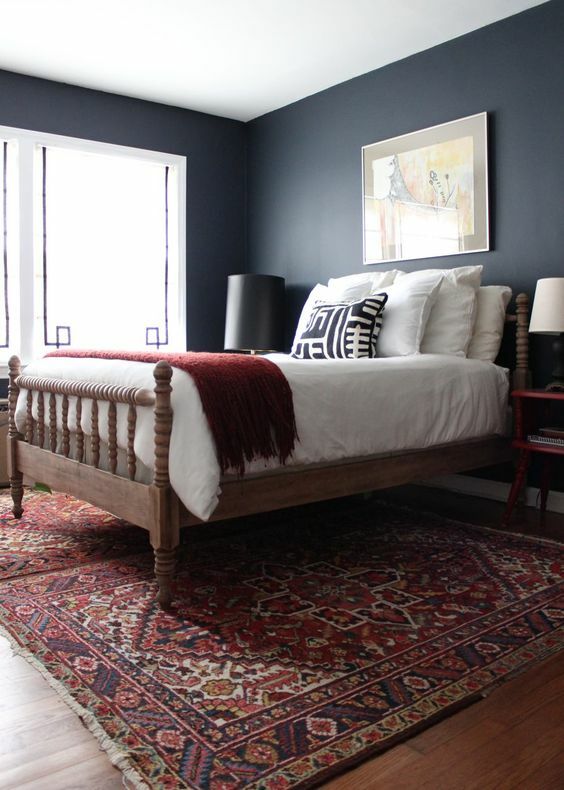 finding a vintage bed on Craigslist (my favorite source) for the Dexter guest bedroom.